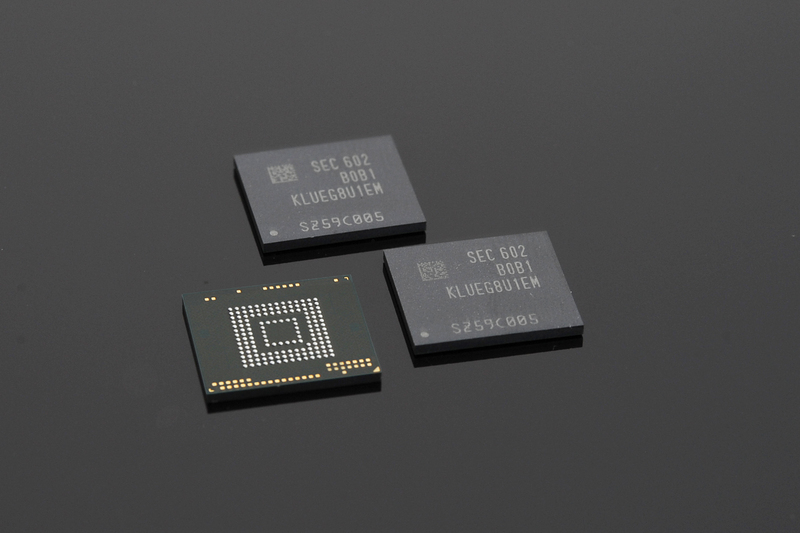 Samsung just announced that it has begun mass manufacturing of the industry's first 256GB Universal Flash Storage chips for high-end mobile devices. The new memory is nearly twice as fast as typical SATA-based SSDs found in PCs. Using two lanes of data transfer, the new chip can move data at up to a blistering 850MB per second. Sequential writing speeds clock in at a rate of up to 260MB a second, or about three times faster than high-performance external SD cards. What this translates to is buttery-smooth frame rates when the chip is tasked with the playback of Ultra HD video files, even while simultaneously multitasking in a split screen. With USB 3.0 becoming the new standard in upcoming generation of phones, the chip will enable extremely fast data sharing between mobile devices. How fast? Five GB in twelve seconds fast. Whew! On top of the new increased capacity and speed, the chip is also extremely compact, taking up even less space than an external MicroSD card. The smaller the chip, the more room manufactures have for other components, like a larger battery (a man can dream, but let's be honest, they'll just make phones even thinner). We've been hearing companies tell us for years that we are better off storing our files in the cloud. Well, the cloud has some advantages for sure, but with this kind of speed and capacity, Samsung is making it possible to carry a lot more of your digital possessions in your pocket.